The Aeroccino, included with the new machine, is ideal for preparing cold/hot foam or hot milk. The machine is equipped with a unique intelligent extraction system that recognizes each variety of Grand Cru and adjusts the extraction parameters to provide the best result for a coffee with crema and freshly prepared traditional espresso. The Aeroccino foam provides a soft and finely textured milk in a convenient way. Cups and capsules not included. All of our water tanks are BPA free. 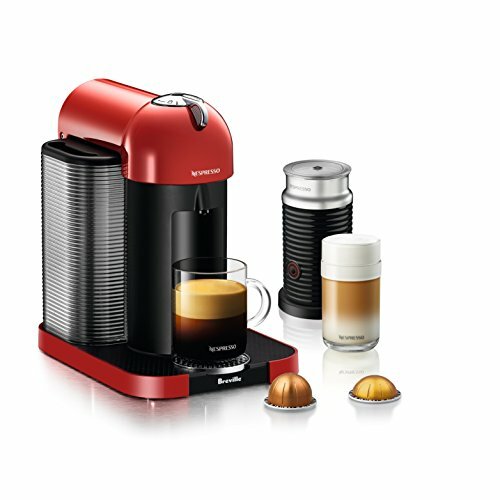 Revolutionary Centrifusion technology to gently brew both Coffee and Espresso with one touch of a button.